The historic discovery of potentially Earth- like world Proxima-b was announced 24 August 2016. 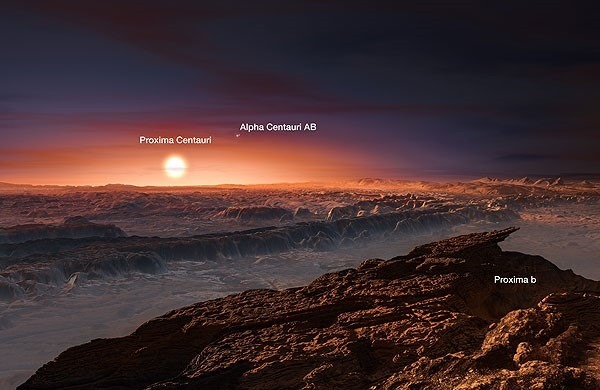 Orbiting Proxima Centauri, a Red Dwarf star in the habitable zone and the nearest star to our own Sun Proxima-b marks not only the closest alien planet ever found but also with the potential to be habitable. 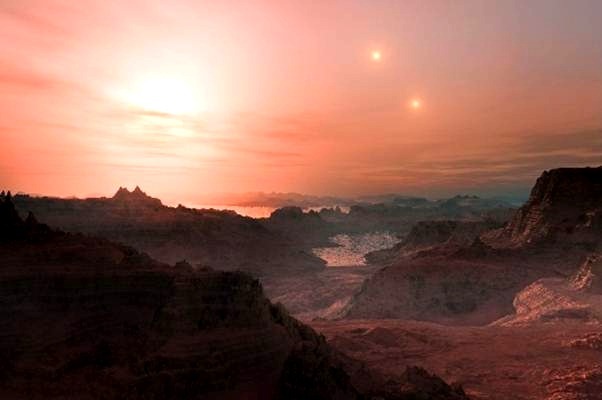 This artist’s impression shows what the sky might look like on Proxima Centauri b if the planet has a surface. The exoplanet orbits the red dwarf star Proxima Centauri, currently the closest star to the solar system at 4.2 light-years. The other two members of the Alpha Centauri triple, Alpha Centauri A and B, would appear in the sky, too. 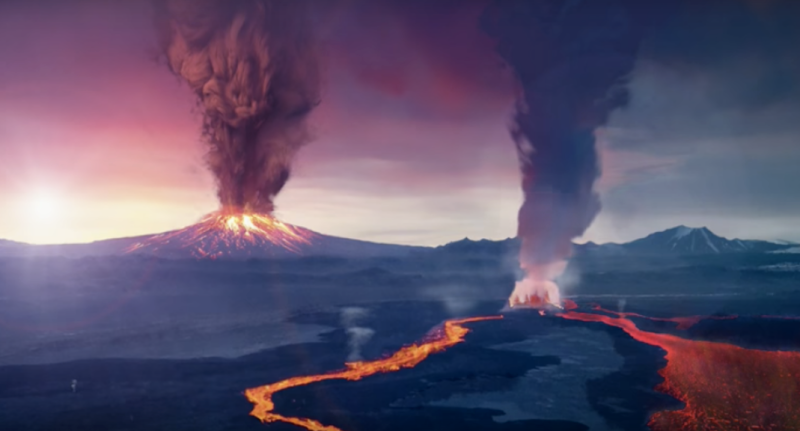 If this proves to be the case, then there is no shortage of time for some form of life to originate based on the fact that red dwarf stars such as Proxima Centauri burn for trillions of years. From the point of view of the average Earth-based visitor stopping by for a summer vacation, Proxima-b runs the risk of being a rather boring holiday resort. The sun-tan would be awesome, not so much so the destruction of the biological cells exposed to the intensely dodgy UV radiation that is present. Combined with the prospect of heavy duty sun-screen to protect from the sun’s constant bombardment of energy flares bouncing around the planetary surface probably wouldn’t be classed as entirely awesome either. On top of which the Proxima Centauri flares would also banish any hope of using mobile phones, tablets, X-boxes or any other such devices thanks to its electronics-disabling qualities. so no ET calling home and definitely no Skype! 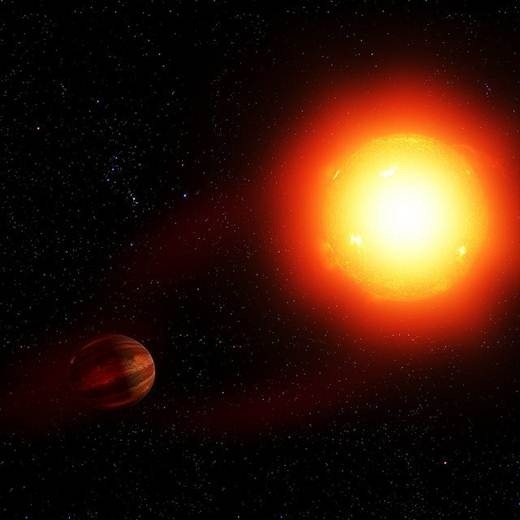 Although it is a tidally locked planet– roasting hot on its star- facing side, freezing cold on the other, there is also enough wind around in the atmosphere to circulate the heat, balancing out the extreme temperatures that would otherwise exist. None-the-less a visit to the the planetary darkside, where it is bathed in perpetual night could prove to be the safest, and possibly the only option. Unfortunately astronomers are choosing to be particularly pessimistic about this little world following the initial euphoria and have currently decided it is probably a dead, airless rock that will never harbour life due to it’s close proximity sun (20x nearer than Earth to the Sun) creating a risk of it boiling off the water and thereby stripping away the planet’s atmosphere. Researchers its oxygen will be gone in about 10 million years. Life on Earth took billions of years to develop. However hope lives eternal. Theoretically it is possible life could advance to endure the high levels of radiation, by altering the worst of Proxima Centauri’s emissions into inoffensive visible light. 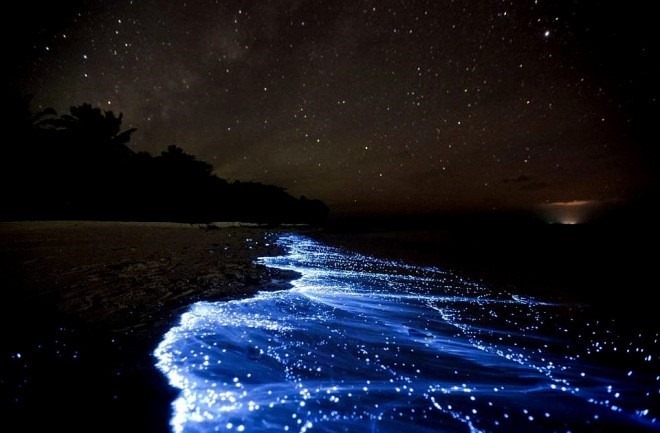 We know this is plausible, because due to a process known as biofluorescence this —has already happened on many occasions on Earth. Ultimately It is expected that the 2018 launch of The James Webb Space Telescope, will provide answers to the critical question of whether there is any chance at all that Proxima b is capable of supporting life. Proxima b – Habitable ‘Ocean Planet’?? Another possibility is the Proxima b could be an ocean world whose entire surface consists of a liquid ocean. This may bear a similarity to the Jupiter and Saturn moons that are icy worlds with subsurface oceans. Proxima b – A Desert World?? 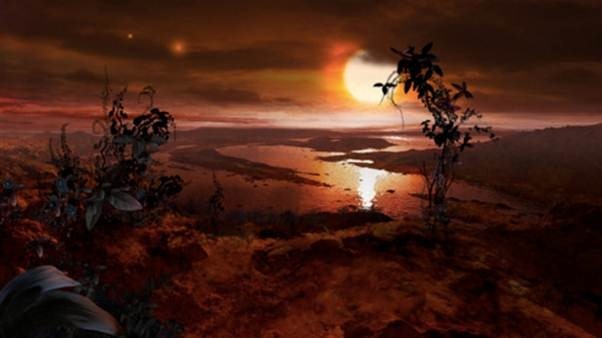 But it still seems most likely, according to Victoria Meadows (University of Washington), that this exoplanet is a desert world since the radiation bombarding it would almost certainly have evaporated the majority of the water. This process could have collected the oxygen and hydrogen in the water and created an atmosphere rich in oxygen. Then again it could a 2nd Venus with an atmosphere rich in Carbon Dioxide, or even another Uranus or Neptune. If all else fails cosmic holiday makers may wish to try some of the nearby , potentially habitable exoplanet worlds, for size…. : Kapteyn b (13 light-years away) and Wolf 1061 c (14 light-years). Both planets are just over half again as wide as Earth, with minimum masses of 4 to 5 Earths, and both are in their stars’ habitable zones. 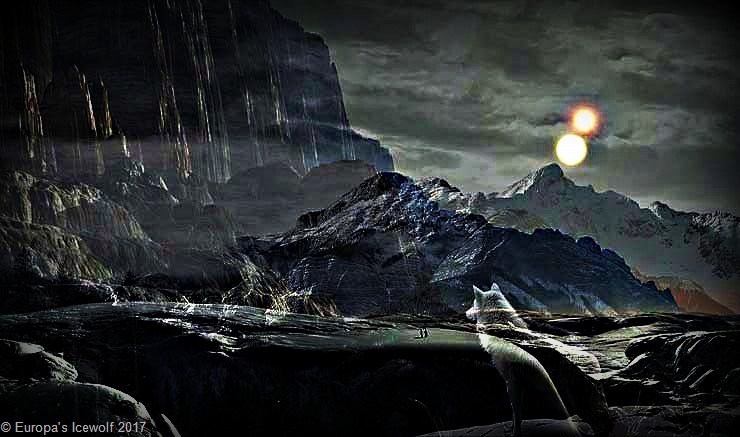 Wolf 1061 c does not look at all hopeful in terms of habitability. But Kapteyn b looks good. It’s about 3½ times farther from its sun than Proxima b is from its sun so potentially it could be far enough out of reach of its sun’s rather violent output to provide a half decent holiday resort! 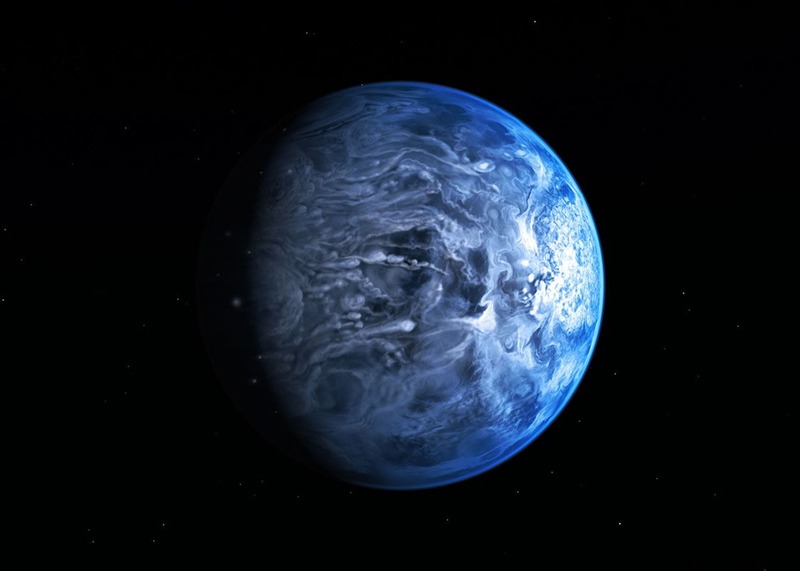 Exotic Blue-Marble Planet Raining Glass…Sideways! 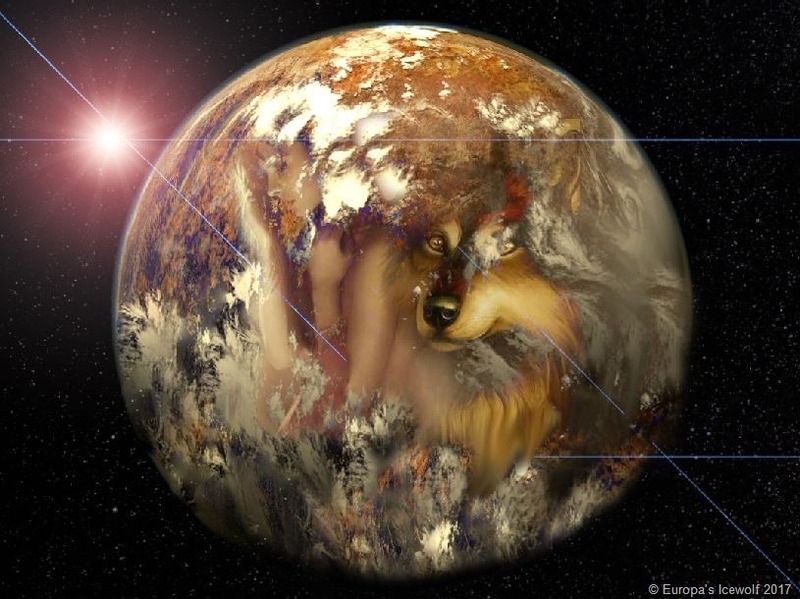 We all know exotic alien planets can be very strange and bizarre, and turbulent blue marble exo-planet HD 189733b in the constellation of Vulpecula (The Fox) is no exception. In fact this alien world is a shining example of wild and exotic alienness. Scoring a first for humanity (and Europan Ice Wolves if you happen to be lucky enough to be part of the Pack) those clever NASA and ESA astronomer types with a smidgling of help from the Hubble Space Telescope have figured out the real planetary colours of an alien world circumnavigating another sun; something it does this in 2.2 Earth days tucking in very close and cosy with its parent star (sun). 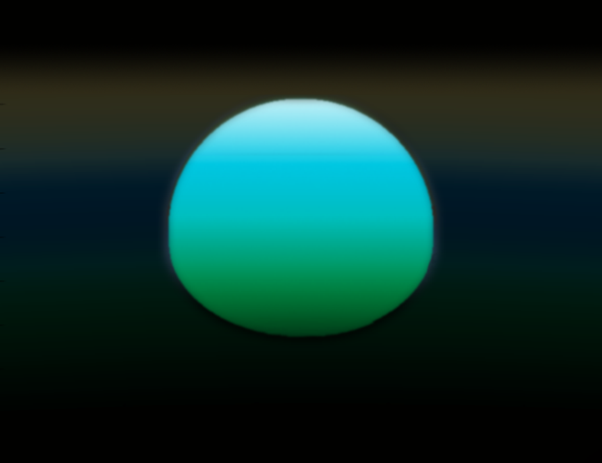 Although at first glance, and this would have to be a very close up glance, this deep azure blue world, a giant gas planet known as a “hot Jupiter” bears a remarkable similarity to the heart-warming blue colour of Earth as seen when floating just above it in a cosmic deck chair whilst sipping an intrepid tequila in intergalactic space and admiring the view. However, before you all go rushing off to dust off those aeon old telescopes lying forgotten in the attics and lofts of the home world, don’t! Not a good idea at all. 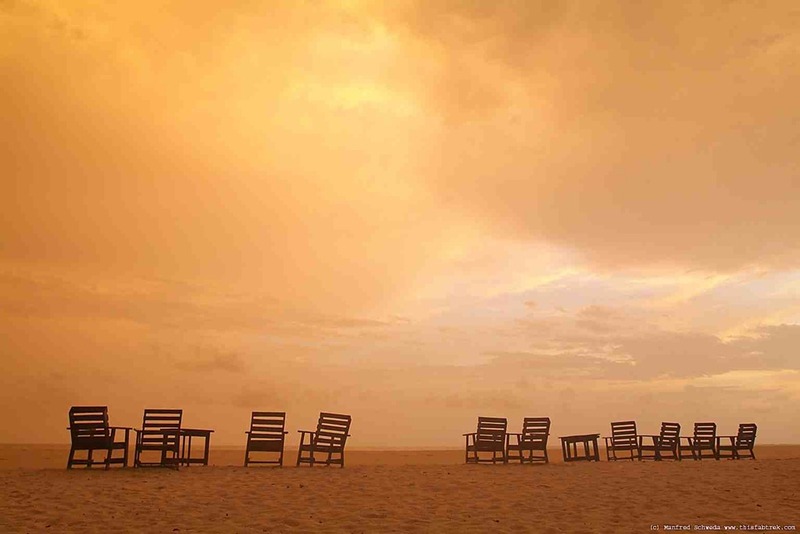 Leave them right where they are…gathering very un-alien like Earth dust! HD 189733b is one of the closest exo-planet’s to Earth but it still lies 63 light years (630 trillion kilometres) from Earth and despite the fact that it shares pretty much the same size and mass stat’s as the Europa’s Ice wolves mother world, Jupiter, and still shines with that beautiful star-blue glow, and even has awesome sunsets, you won’t be able to see it!! No… not even a little blue dot so just take a nice deep breath of Earth air and calm down! Colour is where the similarity between this exotic exo-planet and Earth end, swallowed hungrily by its dramatically unstable and exotic, atmosphere where it rains glass sideways (drops of molten magnesium silicate particles) in a furious frenzy of hurricane-force winds hitting a ferocious, hyperactive 7000 kilometres-per-hour (4,350 mile per hour). With a searing atmospheric temperature of 1000+ degrees Celsius (1,832 degrees Fahrenheit/1000 degrees C day side, 1,200 degrees F/650 degrees C night side – tidally locked so one side always faces its sun) atmospheric water exists in the form of steam, intermingled with vapour mists and fierce, blazing flares. 1,000 tons of its atmosphere is blown away with each passing second by its sun’s (star’s) intermittent solar surges. And why is HD 189733b a deep and shiny azure blue colour? I hear you ask…albeit very quietly in a “don’t tell Wolfie we asked or we’ll be here all night” kind of tone. The sideways-raining glass (magnesium silicates) in its hyperactive atmosphere, scatter blue light very effectively to create this effect. 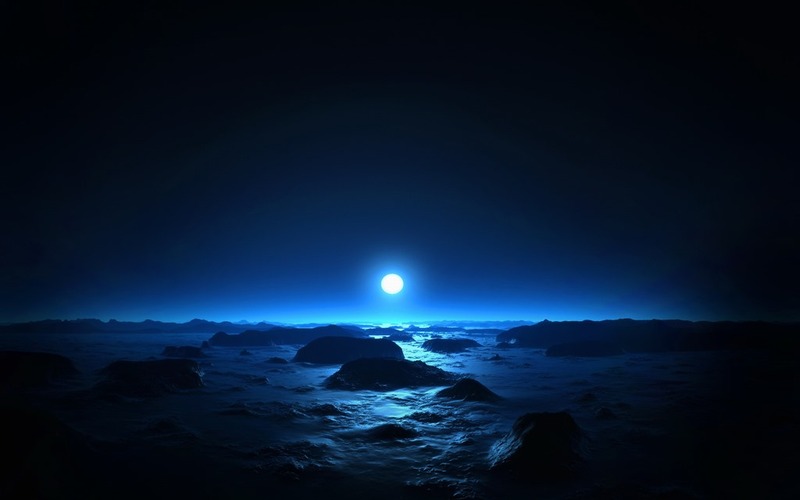 Earth shines bold and blue due to the blue colours in the sunlight scattering in the atmosphere. Yes, the sun is still there to achieve this very important end even if you can’t mostly see it through all that lovely grey cloud cover. Cold, distant Neptune is also a blue planet, but for the entirely different reason that its air has copious levels of methane gracing it. This decidedly non-breathable Neptunian methane does a pretty good job of absorbing red light blotting it out altogether to human eyesight so that Earth dwellers beady little eyes will only see the blue light reflecting back to them and therefore Neptune is blue. This is a very therapeutic and relaxing colour for the average Earth dweller to cast their beady little eyeballs on according to the therapists. Exo-planet temperature map data revealed by NASA’s Spitzer Space Telescope In 2007 allowed scientists the opportunity to chart the bizarre weather environment of the exotic, alien world of exo-planet HD 189733b. It was concluded that there are roughly 500 degrees Fahrenheit (260 degrees Celsius), differences between the daytime side and night-time side temperatures, and these are also responsible creating the wild, gale force winds buffeting this beautiful marble blue world amongst the stars. 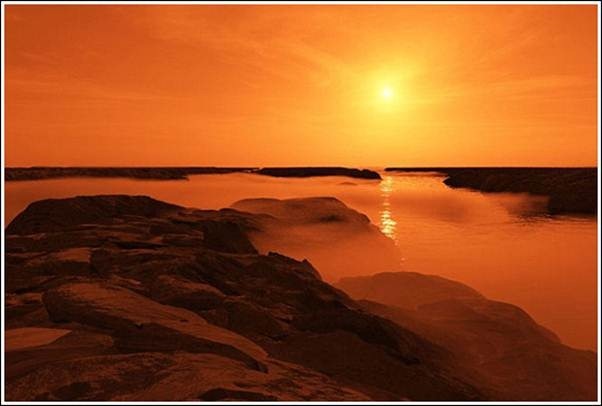 Watching the sunset on another world 150 light years from Earth…. Osiris is a 7th magnitude world, visible from Earth with good binoculars or a decent telescope. 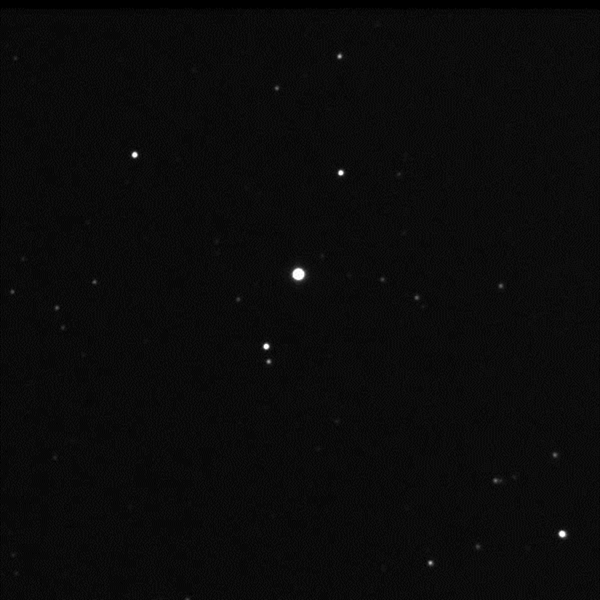 Osiris (HD209458b), 150 Ly from Earth orbits very closely to its sun. Measured by the Spitzer Infrared Space Telescope on March 23. 2005 it had an atmospheric temperature of around 1,000 degrees Celsius (1,800 degrees Fahrenheit) it’s year lasts just 3.5 Earth days long. Very bad for the aging process! Osiris doesn’t actually have as surface on which to sit peacefully watching an alien sunset but for the purposes of this post we will pretend it does. What it does have however is an atmosphere, which when passed through by the light from its star (sun) – it does this every so often when Osiris passes between Earth and its own sun (transits)– allows the scientific types here on sunny Earth to figure out in a scientific way mostly beyond the understanding of the average Earthling, exactly which colours its sun would set in, should Osiris have a surface – as already stated it doesn’t but… and we were spending a happily romantic evening sitting on the (make-believe) surface. I said it HASN’T got one!!! So don’t try it!! It won’t be any good for you!! In the image to the right Osiris’s sunset can be seen as it would appear if having travelled at light speed to reach it, you were floating 6,200 miles/10,000 km above the planetary surface – preferably not in a deckchair unless you’re wearing a heavy duty space suit 😉 a space station would do nicely. The Osirisian sun- HD 209458– it’s star, is, much like Earth’s Sun, white – yes I know…The Sun is yellow…but if there was no atmosphere it would look white – not that we would see it because without an atmosphere life on Earth would have survived for approx. 20 seconds before exploding into instant extinction. An alien sunset on Osiris really does look alien – unlike Earth’s. Osiris’s atmosphere consists of sodium which when starlight (sunlight) zips through it, absorbs the red light. (think prisms and colours of rainbows when white light is split) This results in the remaining starlight appearing blue. It makes perfectly good sense if you were paying attention in your school science lessons. If you weren’t then it’s your own fault and you should be thoroughly ashamed of yourself!! As back home on Earth the blue light from the star is scattered (“Rayleigh scattering,” a mechanism also responsible for the Earth’s sky being blue) creating a progressive change through the blue end of the spectrum through to a pretty green and later a deep, dark shade of green as its star dips further beneath the horizon. In such colours you should be able to get a good view of Osiris’s sun without going instantly blind in which case you will notice it looks oddly flat around the southern half. The same effect occurs when we watch the sun setting from Earth. This is the consequence of diffraction (light bending) and nothing to worry about..
Whilst you are relaxing in the Osirisian sunset you can reflect on the little snippet of mythology attached to it’s title… Osiris was an Egyptian god, usually identified as the god of the afterlife, the underworld and the dead. He was classically depicted as a green-skinned man with a pharaoh’s beard, partially mummy-wrapped at the legs, wearing a distinctive crown with two large ostrich feathers at either side, and holding a symbolic crook and flail. His green skin is symbolic of new birth. 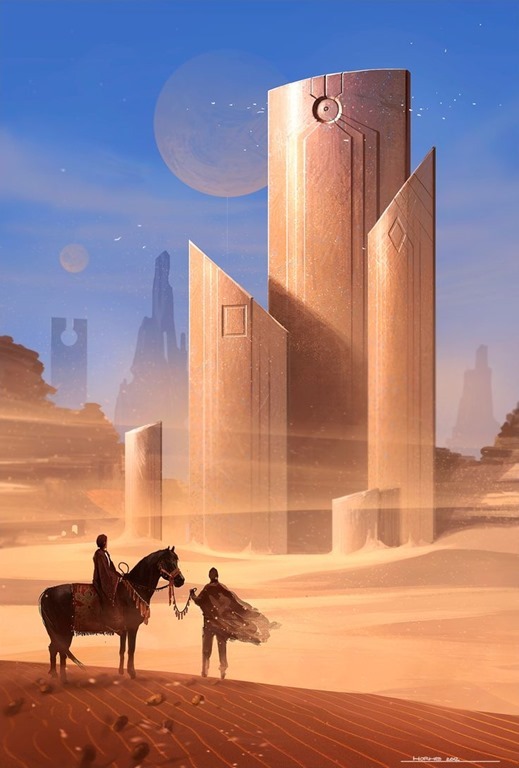 This image is based on New Kingdom tomb paintings. Sunset on HD 189733 b looks like an especially awesome Earth sunset when the sky is very clear and there is only a small amount of dust in the atmosphere. HD 189733 b is much closer to its star (sun) than Earth is to our Sun so its star looks considerably bigger 25 times larger than Earth’s sun when viewed at sunset compared. HD 189733 b’s sun is orange and nowhere near as hot as Earth’s Sun and consequently is coloured orange as oppose to the white of our Sun. Instead of undergoing a gradual change of colour as it sets, this alien sun transforms straight from its original orange colour to deepest red in the thick layers of the lower atmosphere. HD 189733b shares many similar characteristics as HD 209458b (a.k.a. “Osiris) Although HD 189733b’s atmosphere isn’t thought to be evaporating like Osiris’, atmospheric gases extend far beyond it and out into space. This is significant in that starlight can also pass through meaning that scientists have been able to figure out that the atmosphere contains water and methane resulting in the probability that HD 189733b may have a blue hue, reminiscent of Uranus. The atmosphere also contains iron, silicate and aluminium oxide particles. These would seem to collect in HD 189733b’s upper atmosphere, forming a thin, hazy, reflective cloud in the exosphere. This leads to the natural conclusion that the weather on HD 189733b is hot and cloudy. 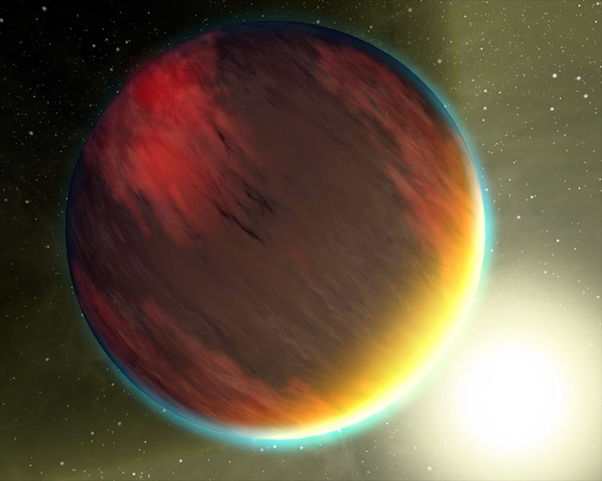 Thanks to the Spitzer telescope it was discovered in February 2007 for the first time that the atmosphere of exoplanet HD 209458b (Osiris) is relatively dry, thick and dusty. Osiris even contains grains of sand (silicates). Although it is not suitable for the existence of alien life it is an exciting step on the road to discovery of such worlds. 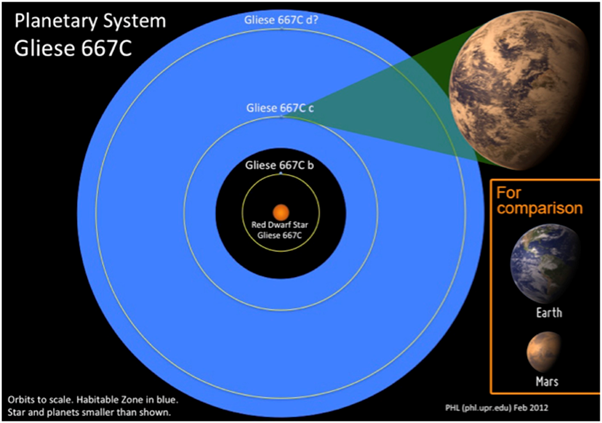 Gliese 667C – Kelper Mission Discovers Twin Earth! GJ 667C is an M class red dwarf star in a triple star system. The alien ‘super-Earth’ is situated about 22 Light Years away where it is orbiting it’s red dwarf host star in a period of 28 days, and is about 4.5 times larger than Earth. It is temperate enough to allow liquid water to exist on its surface. It is accompanied by orange K class dwarf stars GJ 667A and B.
GJ 667C receives 90% of light received by Earth, most of which is infra-red, so a higher percentage of incoming energy is absorbed by the planet. Well worth checking out! Though given the distance it is not likely to be in our lifetime, unless warp speed becomes a reality anytime soon! 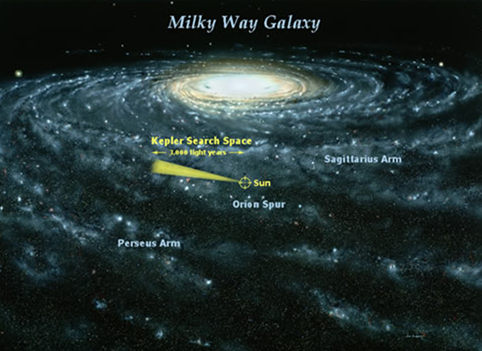 About 80% of the Milky Way (160 billion) stars are red dwarfs so it is likely that there are around 65 billion stars with habitable Super Earth’s in our galaxy. About 100 lie within 10 parsecs (32.6 Light Years) of Earth. “Because red dwarfs are so common – there are about 160 million of them in the Milky Way – this leads us to the astonishing result that there are tens of billions of these planets in our galaxy alone.”~ Dr Xavier Bonfils from Grenoble University in France, who led the international team. 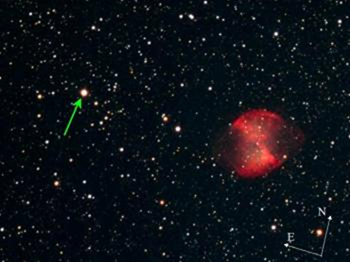 THE STUDY – Between February 2008 and April 2009 researchers at the European Southern Observatory, La Sill Observatory in Chile, studied 102 Class M (Red Dwarf) stars situated at a distance of less than 32.6 Light Years away. New planets are discovered by detecting the subtle wobbles that occur when the planets are orbiting their star. 41% of them are orbiting their stars inside the habitable zone, where they could potentially support life. GJ 667C was discovered by Astronomers from UC Santa Cruz, Steven Vogt and Eugenio Rivera, led by Guillem Anglada-Escude and Paul Butler of Carniegie Institution for Science. The HARPS high-precision ‘Planet Hunter’ device works with the 3.6m telescope at the Silla Observatory in Chile to bring us these results. When the information obtained via a telescope was input into the instruments nine super-Earth planets were detected by astronomers. These included Gliese (GJ) 581 and Gliese(GJ) 667C both of which are within the habitable zones of their stars. However, it should also be remembered that Red dwarf stars are not as super-hot as our star – The Sun. Consequently the super-Earth planets that orbit them must do so at a considerably closer range in order to obtain the necessary heat. 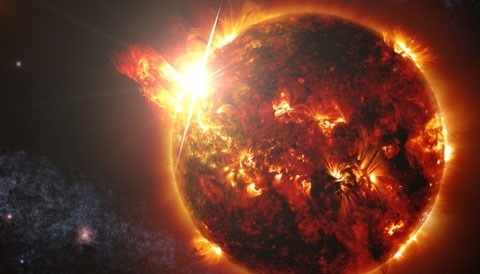 With their habitable zones in such close proximity to their stars compared to the distance of Earth to the Sun there is a danger that the potential for life could be inhibited by the dangerous X-ray and ultraviolet flares emitted by their stars, which could successfully frazzle any life! After re-evaluating information collected back in February, scientists reportedly confirmed on Friday that they had indeed discovered a planet outside of our solar system that is capable of supporting life. On Friday, the Telegraph published a report confirming the findings. Kepler 22b, the new alien planet discovered by NASA’s Kepler space telescope, which NASA scientists say embraces the most hopeful possibility to date for potential future human habitation. Scientists also believe there is a tantalising option for the presence of continents, oceans and even alien life forms living on its surface. 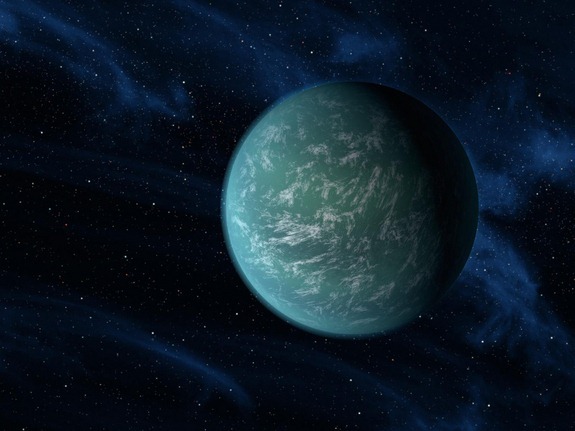 Kepler-22b is the first of many such planets that it is hoped will be discovered by the Kepler space telescope. NASA’s Kelper planet-hunting spacecraft, a Space Observatory, that has been orbiting Earth since it was launched in March 2009 is the most powerful telescope in space. It needs a large field in order to observe the necessary large number of stars. The star around which Kepler 22b orbits in the region of the constellations of Lyra and Cygnus, is slightly smaller than our Sun and about 25% less bright. The alien planet was discovered after making a "transit" across the front of its parent star – when a planet crosses in front of its star (Sun) it blocks a small fraction of the light from that star. It is these microscopic variations in the star’s brightness that Kelper can detect. 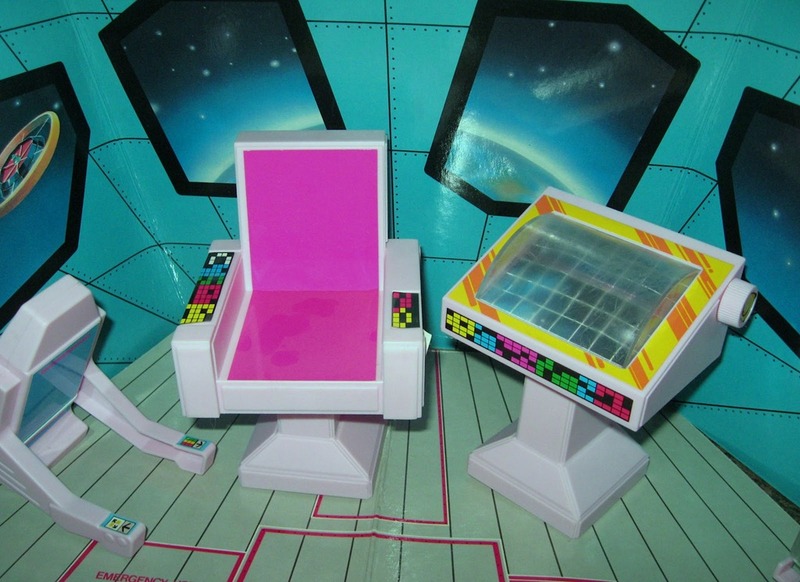 These tell the planet size. 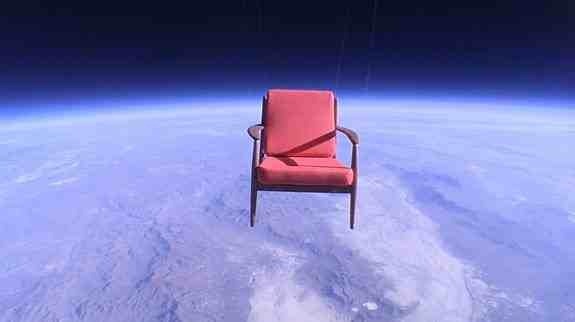 The time between ‘transits’ indicates the size of the planet’s orbit and estimates the planet’s temperature. These factors determine possibilities for life on the planet. 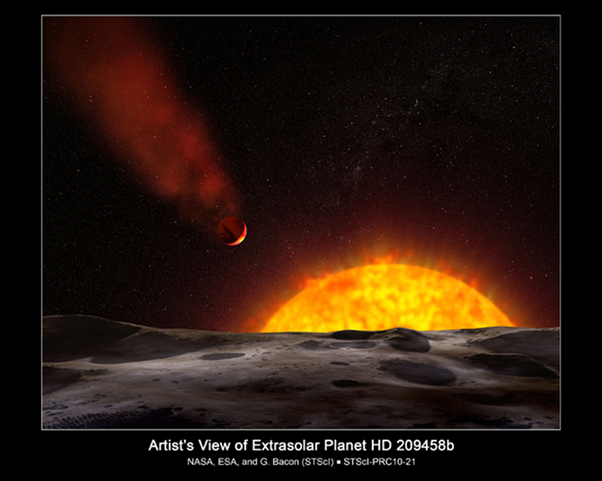 This artist’s conception illustrates Kepler-22b, a planet known to comfortably circle in the habitable zone of a sun-like star. Its atmosphere is of a nature that could potentially support life and Kepler-22b is the first “Earth twin” known that is situated in the ‘habitable zone’ of another Sun-like star. This allows for temperatures fitting to the existence of liquid surface water throughout its orbit. I.e. Kelper- 22b could have Earth-like continents and oceans…and where there is liquid water there is also a strong possibility of life. It is even possible, according to scientists that Kelper-22b is in fact already inhabited! However scientists have yet to figure out whether Kepler-22b is of a primarily rock, liquid or gas composition. A rocky surface would be the best ideal for life. However, a certain Professor Abel Mendez of the Planetary Habitability Laboratory has pessimistically suggested that the chances are that the new and alien planet is likely to be too big to be a habitable world… well there’s always one! To date the Kepler space telescope has discovered a grand total of 48 planets in the habitable zone of their own solar systems. (The “Goldilocks zone”) Kepler-22b is just the first alien world within such a zone to have been confirmed by other telescopes observations. NASA announced the discovery of Kepler-22b on Dec. 5 2011. Comparison chart of our own solar system and Kepler-22, a star system containing the first "habitable zone" planet discovered. "This discovery supports the growing belief that we live in a universe crowded with life," ~ Dr Alan Boss, from the Carnegie Institution for Science in Washington DC, helped identify the planet from data collected by the Kepler space telescope. "This is a major milestone on the road to finding Earth’s twin," ~ Douglas Hudgins, a member of the Kepler telescope team. “Fortune smiled upon us with the detection of this planet," ~ William Borucki, who led the team that discovered Kepler-22b.